We have a new challenge starting at Inkspirational today and it is our photo challenge. Here is my card using CAS-ual Friday Stamps and a little stitiched heart die from Lil' Inkers-this has been popped up on a foam pad. 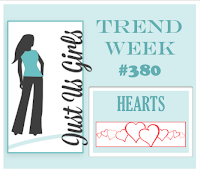 Our Guest Designer for this challenge is the very talented Ros. Check out her amazing blog here. We are very excited she is joining us for this challenge. Our wonderful DT have all come up with some fab cards-check them out here and then get inky! Love that text combined with the rose word smile and glowing heart! Isn't that the truth! Love that fun sentiment! Love how you've combined words and colours. 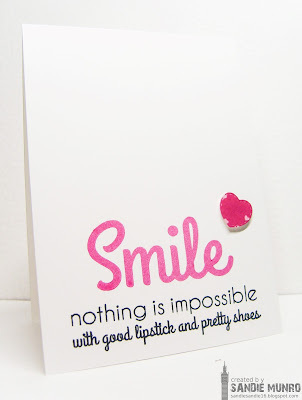 Love this card and what an amazing sentiment too, just perfect! I've always been a shoe and lipstick girl! Great sentiment and design! Thanks for playing with Just Us Girls! Yes, indeed, the right shoes and lipstick certainly are smile-inducing! 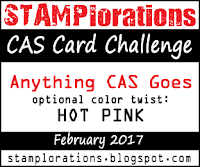 Love your CAS card and, especially, the hot pink! What a great sentiment and a fabulous card! Thanks so much for inviting me to guest with you! Ha... What a fun saying! I love a good shoe sentiment. =) Great design with the bold sentiment and the simple heart. Love the bold hot pink sentiment, Sandie. Hoping to play in this challenge. Thanks for the inspiration. Oh, my, for sure your sweet card had me smiling, Sandie!!!! 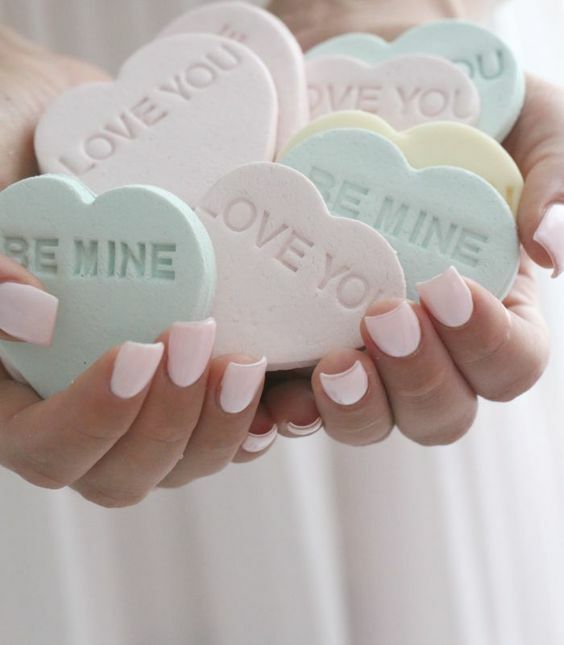 Love that fun sentiment and the cute little heart!!! Wonderful CAS creation!!!! A CAs design that is totally girly and feminine without any frills and fancy stuff! Cool!